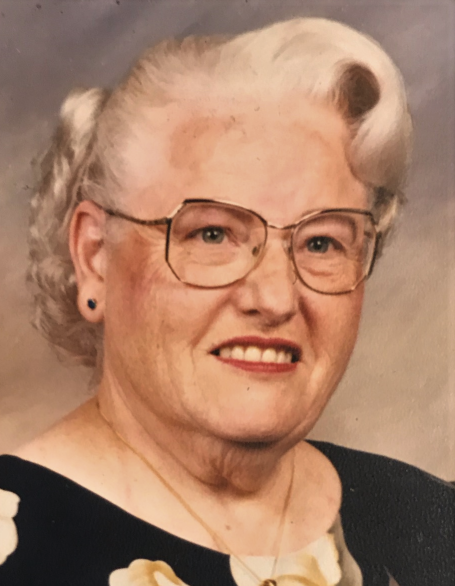 Kathryn Esibell Scare, 81, of Geneva, passed away Sunday, December 2, 2018 at Adams Memorial Hospital. Kathryn was born in Adams County on October 22, 1937 to the late Donald and Eva (McDaniels) Burkhart. On April 21, 1957, she married Elmer Scare. She was a member of the First Missionary Church, Berne; where she was in the church choir and sang in the Messiah for 30 years. She had worked as a seamstress for Berne Overall, Berne Furniture, Berne Apparel and Berco. Kathryn is survived by her husband of 61 years, Elmer Scare of Geneva; 1st cousin, Darrel Harmon; several nieces and nephews. She was preceded in death by 3 brothers. Visitation will be from 2:00 – 7:00 p.m. Thursday, December 6, 2018 at the First Missionary Church, Berne. A Funeral Service will be held at 10:00 a.m. Friday, December 7, 2018 also at the Church. Pastor Dathen Foust will be officiating and burial will be in Backesto Cemetery. Memorials are to First Missionary Church-Hospitality or Geneva Fire Dept.